Michael Janes of the London Greek Radio interviews me. 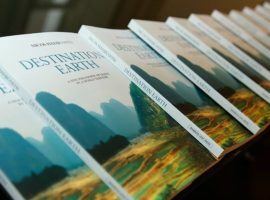 We discuss ideas about world travel addressed in my book, Destination Earth – A New Philosophy of Travel by a World-Traveler. 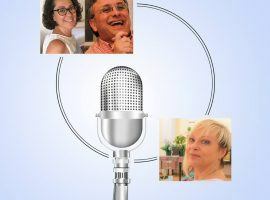 Rick Steves, America’s #1 Travel Guru, Jane and I had a great conversation about Nafplio on his radio program. Just press play to listen to it, the time marker is set at our interview. (20 mins). 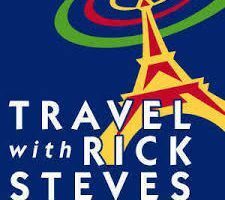 Rick Steves, America’s #1 Travel Guru, and I had a great conversation about world travel on his radio program. Just press play to listen to it, the time marker is set at our interview. (20 mins). 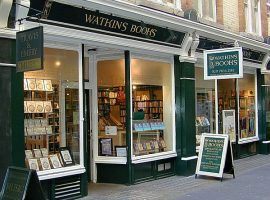 In May 2017, I had the honor of speaking at the oldest bookshop in London, Watkins Bookshop, about my 6.5 year continuous journey around the world. I discussed how I was, in fact, on two simultaneous journeys: the outer journey of intense world exploration as well as an inner journey of transformation. 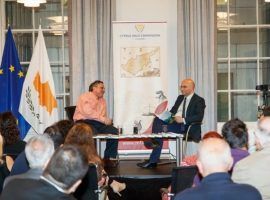 Here’s a conversation about Destination Earth between me and Dr. Achilleas Hadjikyriacou, Cultural Counsellor of the Cyprus High Commission in London. 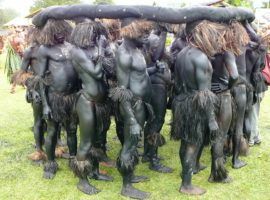 As part of the session called “Insights from World Travelers” of the Airbnb Open festival in Los Angeles in November 2016, I moderated a panel discussion between global nomads. 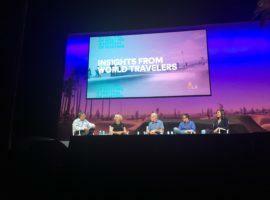 They shared their ideas and experiences about Airbnb and the future of travel. 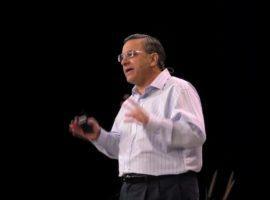 How Does Looking at the World as a Single Destination Transform You? 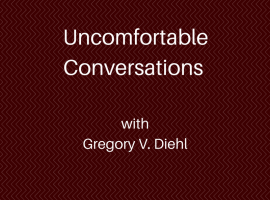 Author, world-traveler, podcaster, Gregory V. Diehl interviewed me for his excellent podcast series called “Uncomfortable Conversations.” Listen to the perspective of two world-travelers, seekers and philosophers discussing how travel can transform one’s life. Μια συνέντευξη με την δημοσιογράφο, Βίκυ Τσιανίκα, στο πρόγραμμα της ΕΡΤ, “Δράκοι και Νεραίδες”, που μεταδόθηκε παγκόσμια στην Φωνή της Ελλάδας. Διάλεξη που δόθηκε στο Τμήμα Ιστορίας και Εθνολογίας του Δημοκριτείου Πανεπιστημίου Θράκης στην Κομοτηνή στις 15 Δεκ. 2016 μετά από πρόσκληση της Γενικής Συνέλευσης του Τμήματος και αίτηση του καθηγητού κ. Αντώνη Μπαρτσιώκα.